We’re happy to introduce Google Cloud Storage as the newest member of the our Connector family! Google Cloud Storage is a a powerful, simple and cost effective object storage service for developers and IT organizations. 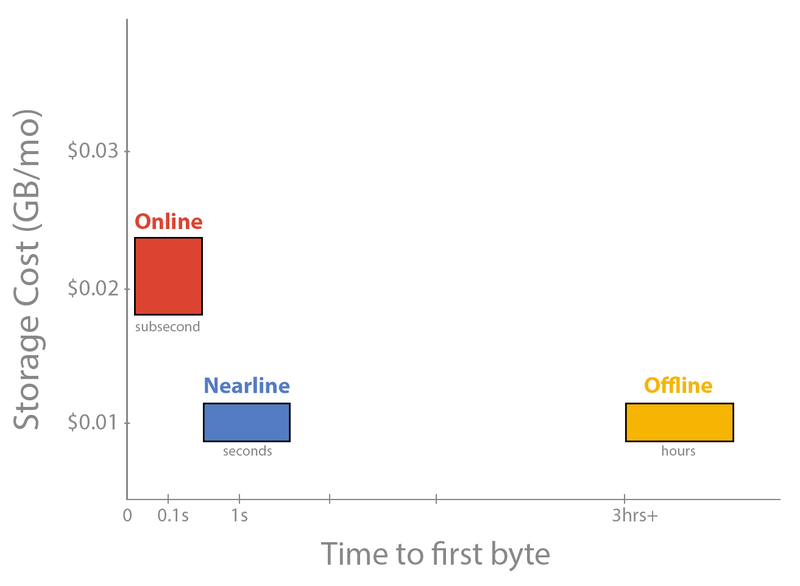 Google Cloud offers three different levels of storage via the same API – including Nearline, “cold” (offline) storage for your data that can be retrieved almost instantaneously. Our answer: because you can. Mover empowers people to put their data wherever they want, whether it’s for pricing, availability, or features within a particular ecosystem. Google has made a pretty convincing argument when it comes to storage – even when your data is offline, it should still be accessible relatively quickly (or in their case within seconds). Most other companies offering a similar service require multiple hours to retrieve your data from cold storage. That’s a few hours difference between getting back to work when you need to restore after a system crash or in a disaster recovery situation, all stored inexpensively. Using Mover, getting your data into Google Cloud Storage is a breeze (just make sure you’ve enabled interoperability, first). Using our app, you can create a new Connector for it in less than a minute – provided you’ve got your credentials handy. After that, it’s a few simple steps to start scheduling backups or migrating your large volume app data into Google Cloud today with Mover from over twenty other cloud services. Click here for an example transfer from Amazon S3 to Google Cloud. For more cloud related tips and news don’t forget to check us out on our Twitter, LinkedIn, and Facebook pages!